What Does Niantic Have Planned For Pokemon Go's First Anniversary? After a year of dominating the hearts and minds of players, Pokemon Go fans expect a celebration. Today marks the one-year anniversary of the launch of Pokemon Go, the AR-based mobile Pokemon game that's managed to reimagine the classic formula and find its way into the hearts of series fans and interested newcomers alike. 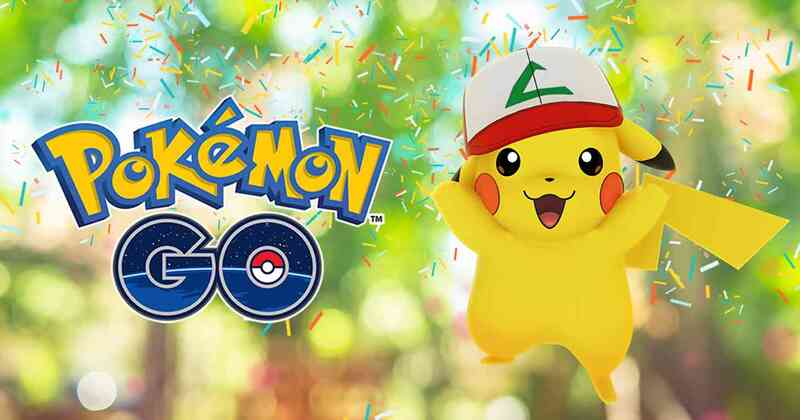 One year is kind of a big deal, too, considering the massive success of the title -- Pokemon Go developer Niantic has stated on their website that over 125 billion Pokemon have been caught across the world since the game's release. Naturally, many fans are wondering what Niantic has planned for the one-year anniversary of the game. However, up until today, it didn't really seem like they'd given the anniversary much thought; fortunately, they do have a few little surprises in store for all the players still enjoying the game. According to a post made over on the official Pokemon Go website, it appears that Pokemon Go's first birthday celebration kicked off with the recent introduction of the Raid Battle mechanic introduced with the gym overhaul update. The update did land particularly close to the one-year anniversary of the game, and considering how popular the feature has been, it's likely that no one would complain if that was the end of the festivities. It isn't, however -- in the usual Pokemon Go fashion, Niantic is also planning on releasing a special version of Pikachu wearing a hat that will be instantly familiar to players familiar with the version of Ash from the Pokemon animated television series. This new version of Pikachu will be available starting today at 1 p.m. Pacific time up until the same time on July 24. And, as has always been the case, once caught, the special Pikachu will remain available for as long as the trainer feels like keeping it around. Does Niantic Have Anything Else Planned For This Year? Though the developer hasn't given any specific details, they have promised that Pokemon Go fans can expect to find even more surprises over the coming weeks. In particular, Niantic has stated that there will be forthcomig information regarding the upcoming Pokemon Go fest in Chicago, which is slated for later this month, as well as news regarding upcoming events across both Europe and Japan later in August and September. Can't get enough hot free-to-play action? We've got a number of great F2P titles featured over on our list of the Best Free To Play Games.